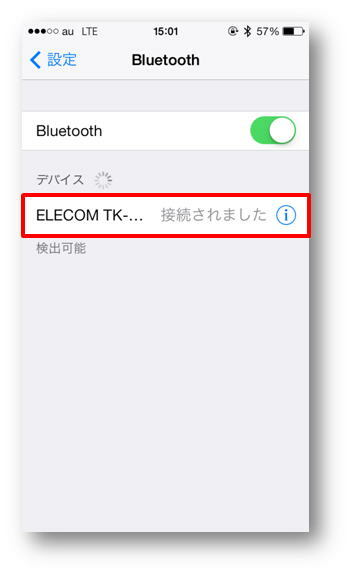 Please follow the directions below to pair your Bluetooth Keyboard with your iOS7 device. ※Please move on to step 4 when it is already turned on. It starts searching for available Bluetooth devices around you. 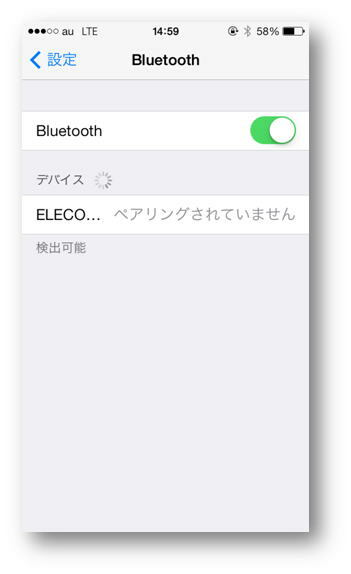 Please turn on Pairing Mode on your Bluetooth Keyboard. When there are no available devices detected. 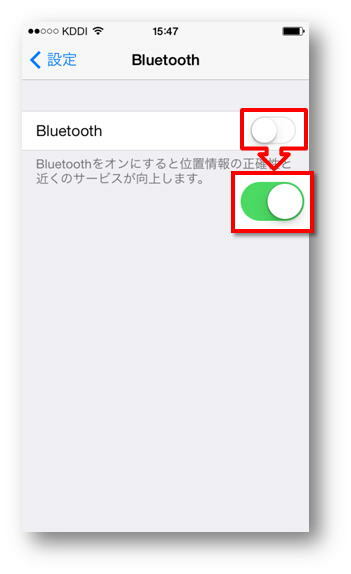 ・Turn off Bluetooth on your keyboard and your iOS device. 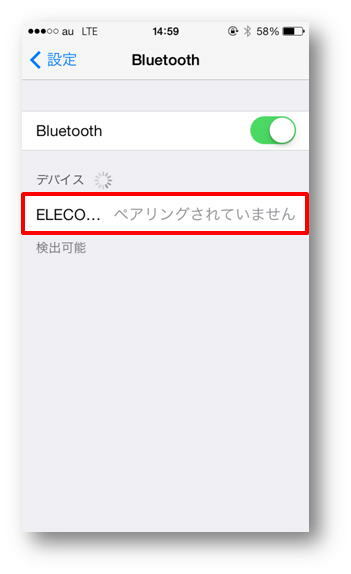 ・When other Bluetooth devices cannot pair with your iOS device as well. 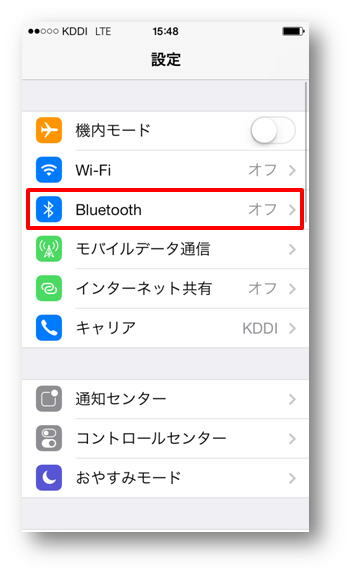 → Bluetooth on your iOS device seems to have some defects. 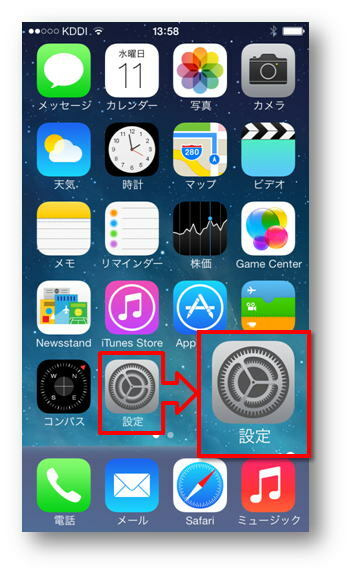 Please refer to Apple Inc.
・When other base units cannot pair with your keyboard as well. 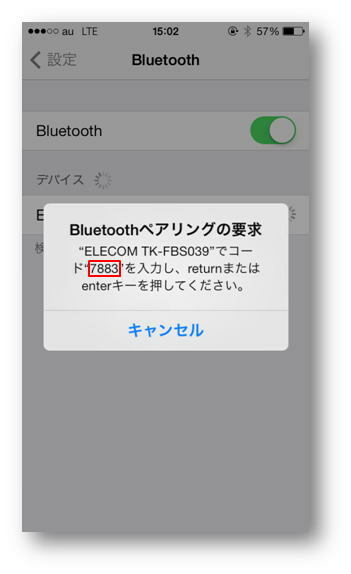 → Your ELECOM Bluetooth keyboard seems to have some defects. Pairing with TK-FBS039E series here. Please type the given pairing code (random) on your keyboard and press Enter/Return. The code is random - please type the one that you are given on your screen. and remove its pairing information once. Then please try the directions here again.